Nathan won the Best Actor in a Drama award from the recent EWwy’s! 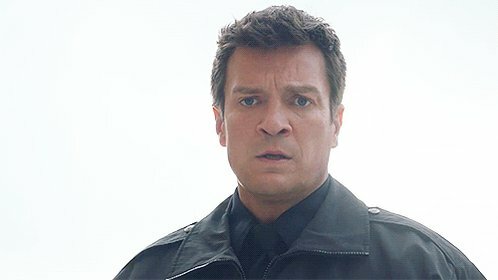 Yes, the perception is that Fillion is just as charming as Richard Castle in real life. But presumably he doesn’t frequently find himself in life and death situations with a homicide detective with whom he avoids talking about his feelings until she’s been shot. Acting is required. Seriously, Castle is even more disarming.